OK. For those of you who know Watercolor Wednesday, you know it’s a rare thing to see any StuART featuring anything but moi. But, I kind of liked this one of me with the peep. Do you like it? Or do you prefer only my handsome-ness? Speaking of what you like and don’t like, I’ve been asked to create some StuART for a very worthy cause (to help Scotties across America) and I’m very honored. Really. I am. Cool, huh? The question is, which ones should I turn into cards to help raise money for this group? If you’d stroll through some past Watercolor Wednesdays and tell me your favorites, I’d be most grateful. Tell me your favorites and I’ll put your name in a random drawing to get YOUR OWN Watercolor Wednesday cards!!! Yeah, that’s what I’ll do! 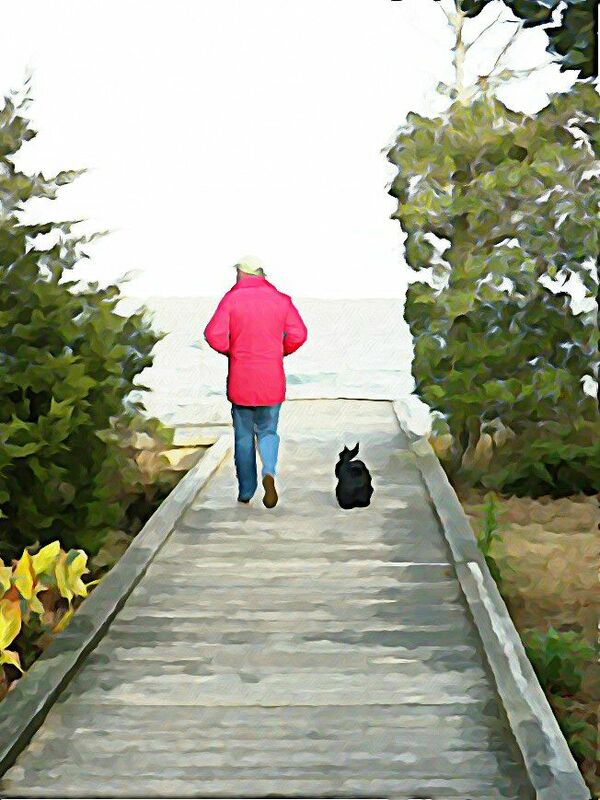 This entry was posted in The Scottie Chronicles and tagged art, dog art, dogs, pets, Scottie Chronicles. Bookmark the permalink. 10 Responses to Watercolor Wednesday – Your Favorites? Why I think the peeps should be included sometimes. Walking along there together you look like your in deep discussion. Watercolor cards ~ well I like all your Wednesday colors. You definitely have to include your puppy one on the porch with the blue flower pot. Nope, no peeps in my stuff. They asked and when I said “no”, They called me a diva and a prima donna. I don’t care. Why don’t you pick out your faves, put them in one post and let us pick our fave of your faves? Everybody’s happy except my peeps. GREAT IDEA! Are you sure it was Kyla’s idea? I want to see the peeps, cause I’m a peep! I love this one. Choose this one. I also love the puppy one with your floppy ears. I will have to go through and look later (off to work), although I do like Kyla’s idea of us picking the faves from the faves. Love it! I like Kyla’s suggestion, too! There are so many pieces of StuArt that could be turned into postcards! That is a great honour. We love this one. We like it….but, we do like you by yourself. congrats on being asked to help a charity!